Canada’s largest independent asset manager is getting into the exchange-traded fund business. Mackenzie Investments, owned by IGM Financial Inc., the Winnipeg-based investment company with C$130.9 billion ($98 billion) under management, will introduce a suite of actively managed exchange-traded funds in the first half of 2016, Mackenzie confirmed in an e-mail. 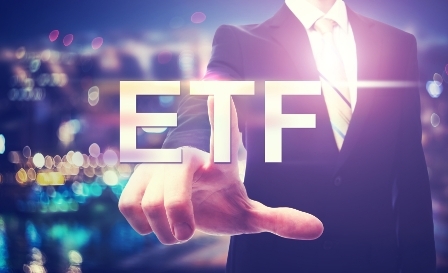 “Active ETFs are an important investment alternative for investors and are playing a larger role in financial and retirement planning as a complement to mutual funds,” Toronto- based Mackenzie said in a statement. Jeffrey Carney, chief executive officer of Mackenzie, discussed the plan during an investor day presentation Nov. 20, Trish Tervit, spokeswoman with the firm, confirmed in an e- mailed statement. Mackenzie, which currently manages about C$61.3 billion across its funds, joins other mutual fund companies entering the ETF marketplace in Canada including CI Financial Corp. and AGF Management Ltd.
Michael Cooke, senior vice president and head of alternative investments who joined the company in April, will lead the project. Shares of parent IGM Financial rose 0.3 percent to C$38.77 in Toronto at 12:51 p.m. They have dropped 16 percent this year, compared with a 2 percent retreat in the Standard & Poor’s/TSX Financials Index.